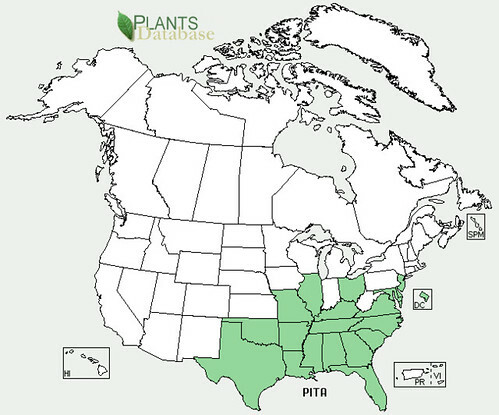 Dangers: some pine needles may contain phytoestrogens which can cause miscarriages in cattle under certain situations. Because of this pregnant humans are also advised to avoid them. 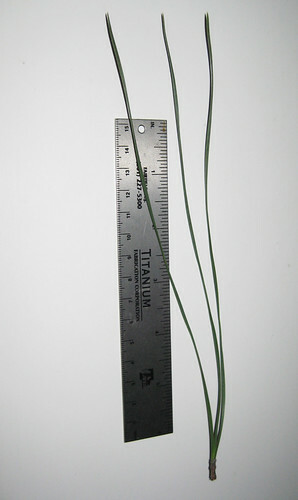 Loblolly needles are very long with three joined at the base. 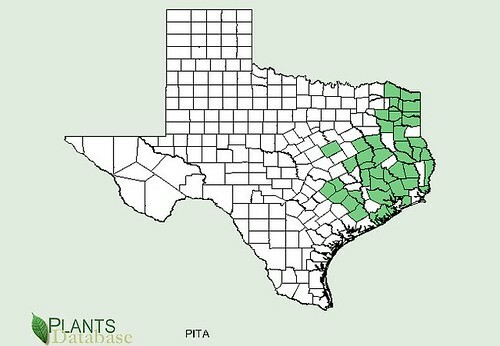 Pollen-producing "flowers" before releasing pollen. These do not become pine cones but just release pine pollen. 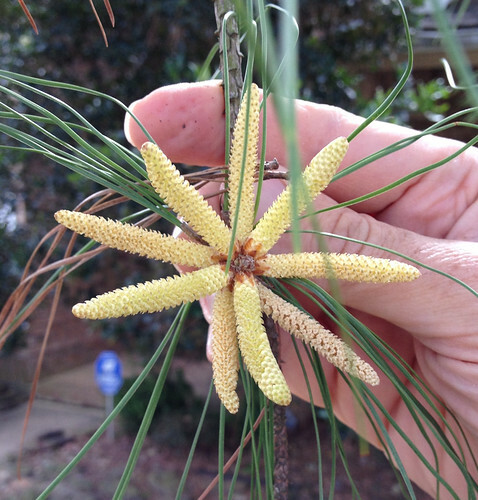 Loblolly Pine flowers during the release pollen. 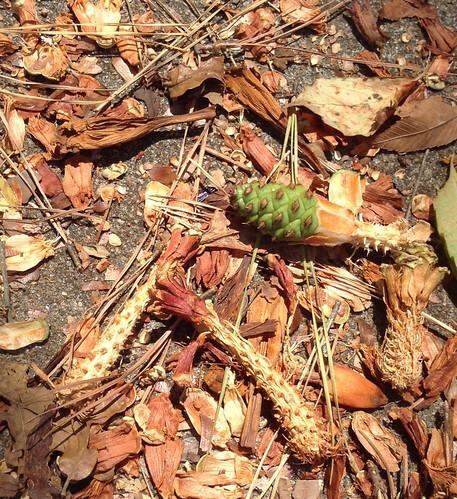 Loblolly Pine cones and their "winged" seeds. 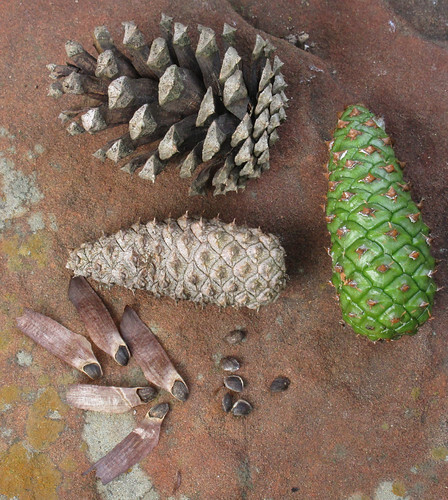 The gray, open cone already dropped its seeds but the tightly closed gray and green cones will contain harvestable seeds. Squirrels will show you when the green cones are ripe by tearing them apart to get to the seeds at the base of each scale. 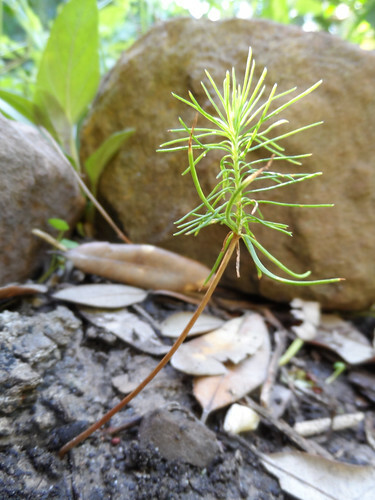 Tiny pine seedlings can be plucked then added to salads. Making tea but the needles need to be chopped up into much smaller pieces. Fresh pine sap ready to be made into Native American glue. Pine pollen bodies in vodka. What could possibly go wrong? 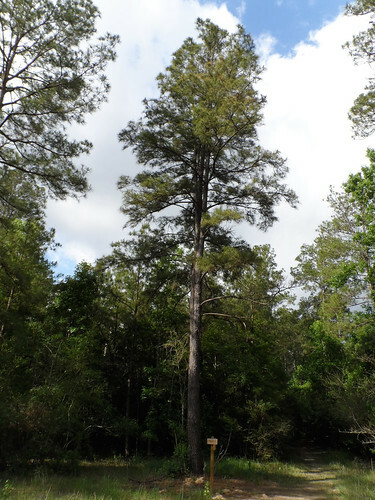 Majestic loblolly trees, over 100ft tall at maturity, are often referred to as "telephone pole trees" as their long, thick, straight trunks made great telephone poles back in the day. They prefer low, wet areas but their vigorous growth and cheap price make them a popular landscaping tree in urban areas. 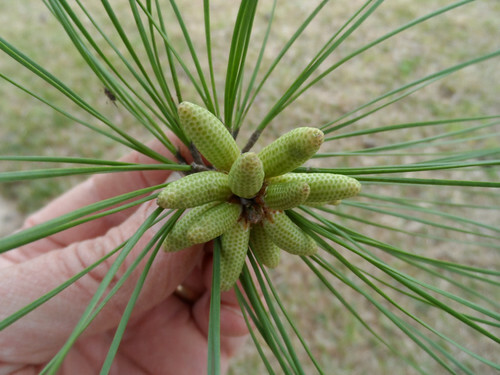 Like the pines of the north which Sacajawea used to cure scurvy in Lewis & Clark's men, loblolly pine needles are rich in vitamin C. However, they also contain phytoestrogen molecules which can lead to miscarriages in women. 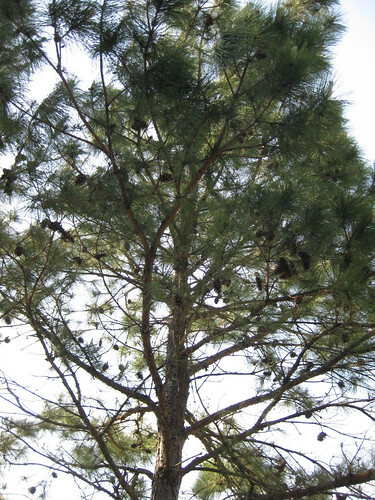 For this reason, pregnant women should avoid drinking pine needle tea whether from loblollys or other pines. 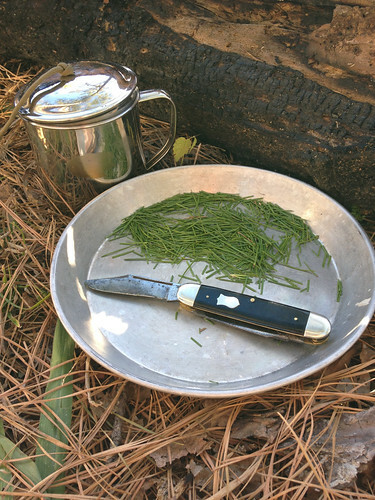 To make pine tea dice up fresh, green pine needles and soak them in hot but not boiling water for up to ten minutes. If boiled, the resulting tea will end up containing a high concentration of unpleasant-tasting terpenes (it's taste like Pine-Sol cleaner). If you do it right the tea will smell like morning in a pine forest...fantastic! 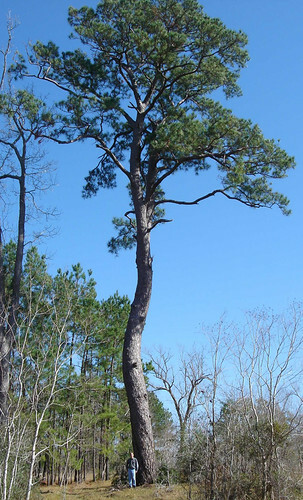 Unlike most eastern/northern white pines (Pinus strobus), the inner bark of the loblolly pine is not considered a source of food/calories because its cambium layer (inner bark) doesn't taste nearly as good as the cambium of white pines. However, in an emergency it will sustain you. 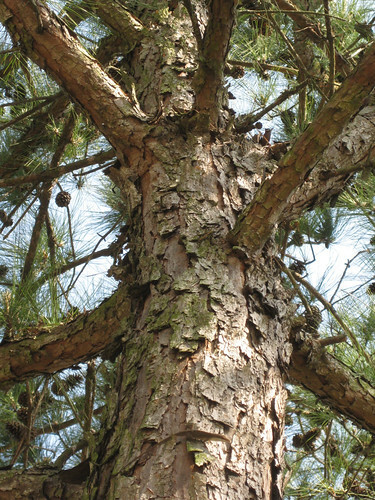 Up north, White Pine (Pinus strobus) has delicious inner bark, tasting somewhat like bacon when fried. 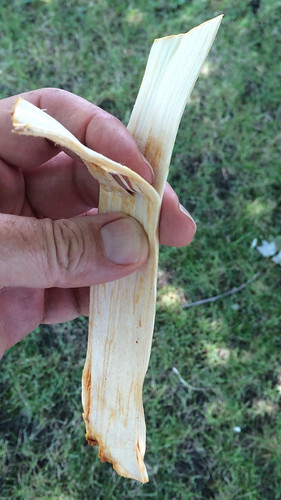 Outer bark cut away to reveal inner, cambium layer (white) over the wood (yellow). Peel the cambium layer into thin sheets, the thinner the better. 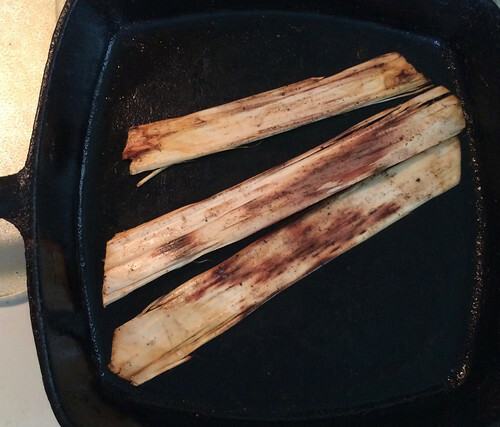 Cook the inner bark until it is brown and crispy all over. These still need more cooking. In the spring yellow pine pollen coats everything around these trees. This pollen is chemically almost exactly identical to the male hormone testosterone and can be purchased over the internet as a testosterone supplement. Native American warriors would carry a small bag of this pollen with them to eat before battles to "pump them up" for the coming fight. 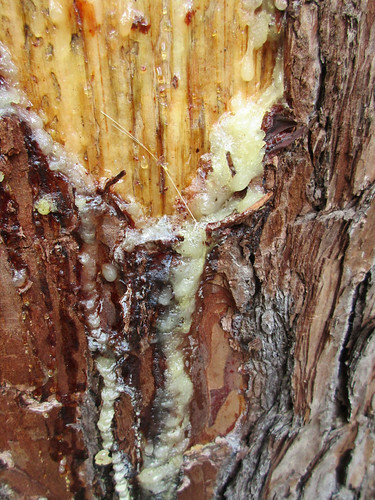 Pine sap burns fiercely because it's a mixture of long-chain organic molecules and turpentine-like compounds. It ignites early which makes it an excellent fire starting material. 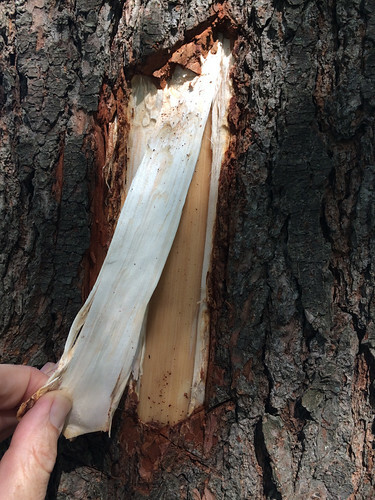 Fresh sap was also mixed with rabbit dung and wood as to make a Native American glue. To make this glue carefully heat up the sap to a full liquid state in a metal can or old pot. Then for every ~4 parts sap add 1 part ground-up dried rabbit pellets and 1 part wood ash. The fine plant fibers from the rabbit dung worked like the fiber strands in high-strength packing tape. 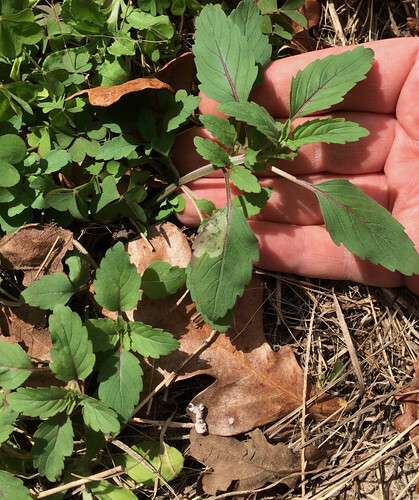 The sap would be carefully melted in a container over a fire, mixed with the rabbit dung and wood ash, then "swirled" onto the top of twigs. When they needed some glue this twig/sap/dung "lollipop" was softened over a fire and dabbed onto what ever needed gluing.